The Department of Justice (DOJ) is investigating whether Tesla misled investors about the production of its Model 3 sedan, The Wall Street Journal reports. According to the publication, the DOJ is trying to determine if the automaker made projections in 2017 about Model 3 production that it knew it would not be able to achieve. The DOJ did not immediately respond to Business Insider’s request for comment. According to the publication, the DOJ is trying to determine if the automaker made projections in 2017 about Model 3 production that it knew it would not be able to achieve. While Tesla CEOElon Musk said in July 2017 that it appeared Tesla could make 20,000 Model 3s per month starting in December 2017, Tesla made just 2,685 Model 3 vehicles in 2017. The Journal reported in October 2017 that when Model 3 production began in July 2017, the body shop at Tesla’s Fremont, California, factory wasn’t completely functional. It reportedly was not fully installed until September 2017. Tesla hit a long-delayed goal of making 5,000 Model 3s in one week at the end of June 2018, and, at the beginning of this month, Tesla said it produced 53,239 Model 3s during the third quarter after projecting it would make between 50,000 and 55,000. The automaker made 5,300 Model 3s during the final week of the third quarter, less than the weekly goal of 6,000 it had set for the end of August. The DOJ was previously reported to be investigating comments Musk made on Twitter in August about potentially taking Tesla private. Those comments led to a lawsuit from the Securities and Exchange Commission (SEC) that was settled in September. Under the terms of the settlement, Musk must step down as the chairman of Tesla’s board of directors for three years and pay a $US20 million fine. According to The Wall Street Journal, the DOJ’s investigation has “intensified” in recent weeks, as FBI agents have reportedly reached out to former Tesla employees, who previously received subpoenas, and asked them for testimony. 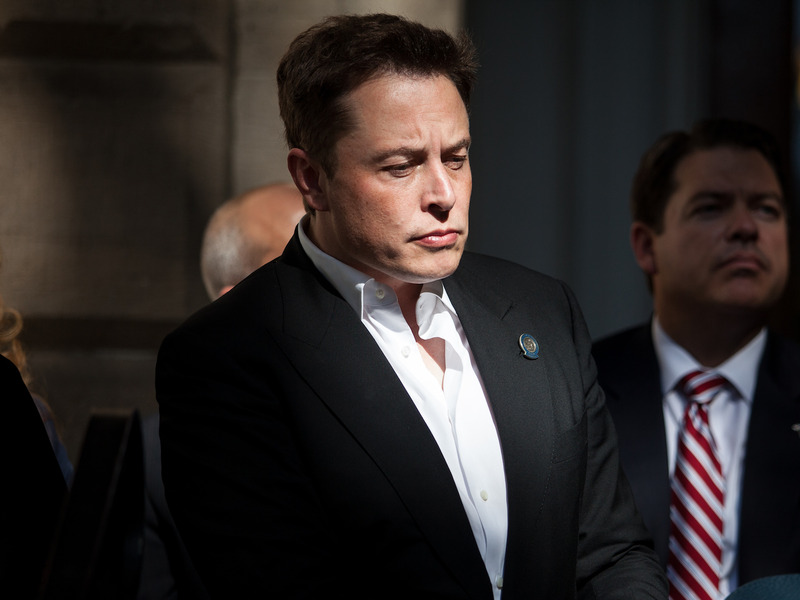 Musk seemed to express frustration about The Journal’s story via Twitter Friday afternoon, replying to a Twitter user who suggested the story was motivated by a desire to lower Tesla’s stock price. “Where is the SEC when the WSJ publishes old information purely meant to distort the stock and harm investors?@Tesla@mayemusk. I would love for the SEC to ask the reporter why they published this information at 2 pm ET?” the Twitter user said. The DOJ’s focus on Model 3 production had not previously been reported. Earlier this year, Tesla received a voluntary request for documents from the Department of Justice about its public guidance for the Model 3 ramp and we were cooperative in responding to it. We have not received a subpoena, a request for testimony, or any other formal process, and there have been no additional document requests about this from the Department of Justice for months. When we started the Model 3 production ramp, we were transparent about how difficult it would be, openly explaining that we would only be able to go as fast as our least lucky or least successful supplier, and that we were entering ‘production hell.’ Ultimately, given difficulties that we did not foresee in this first-of-its-kind production ramp, it took us six months longer than we expected to meet our 5,000 unit per week guidance. Tesla’s philosophy has always been to set truthful targets – not sandbagged targets that we would definitely exceed and not unrealistic targets that we could never meet. While Tesla gets criticised when it is delayed in reaching a goal, it should not be forgotten that Tesla has achieved many goals that were doubted by most. We are enormously proud of the efforts of the whole company in making it through this difficult ramp and getting us to volume production.